The Asian Conference on Education 2009 (ACE2009) was held on the weekend of October 24–25, 2009 and was a great success. 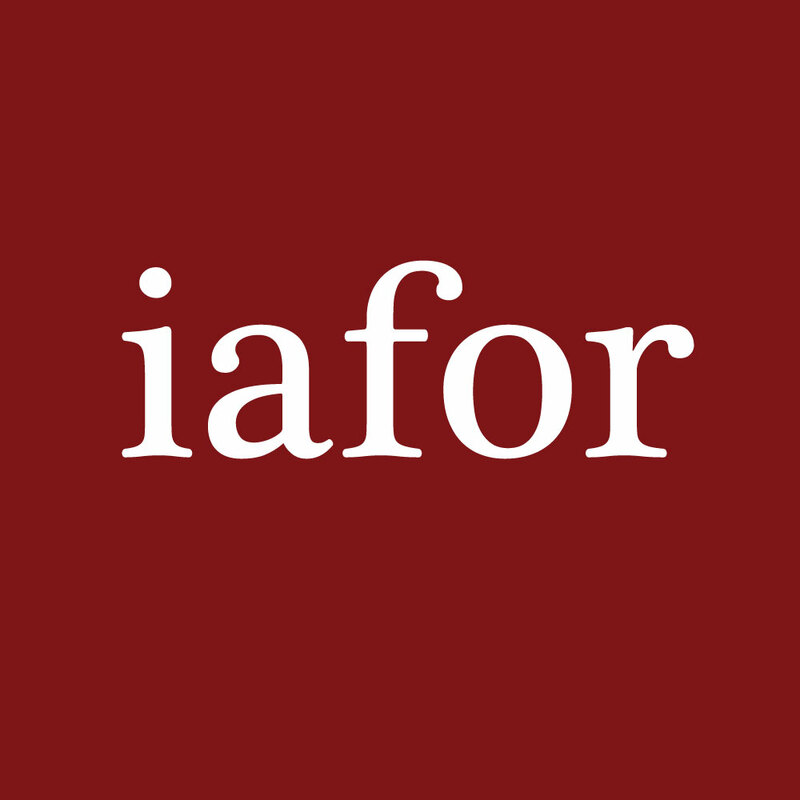 More than 400 participants from 37 countries around the world congregated in Osaka for the inaugural conference on Education, and IAFOR’s first event. We would like to thank the keynote speaker, the featured speakers, and each and every participant for making ACE 2009 a success. We would also like to thank our global academic affiliates for their role in the conference, as well as our sponsors and exhibitors, and last, but not least, the small team of volunteers who staffed the event. Order of the Sacred Treasure (瑞宝中授章), M.A. (Hons), B.D., Ph.D. (Glasgow), F.R.A.S. Fellow of the Royal Asiatic Society, author of a dozen books and over 130 articles and papers, Professor Picken is considered one of the foremost scholars on Japan, China, and Globalisation in East Asia. As an academic, Professor Picken has devoted more than 30 years to scholarship in Japan, notably as a professor at the International Christian University in Tokyo, where he specialised in ethics and Japanese thought, and as International Adviser to the High Priest of Tsubaki Grand Shrine (Mie prefecture). He has also served as a consultant to various businesses, including Jun Ashida Ltd., Mitsui Mining & Smelting Corp., Kobe Steel, and Japan Air Lines. In November 2008, the Government of Japan awarded Professor Picken the Order of the Sacred Treasure for his pioneering research, and outstanding contribution to the promotion of friendship and mutual understanding between Japan and the UK. The honour is normally reserved for Japanese citizens and is a mark of the utmost respect in which Professor Picken is held by the Japanese Government. Although now resident in Scotland, Professor Picken maintains his interests in Japan, as Chair of the Japan Society of Scotland. He lives near Glasgow with his wife and two children. Ms Eri Kudo is Head of Private Sector Fundraising in Japan for the United Nations World Food Programme, the food aid branch of the United Nations, and the world's largest humanitarian organisation, providing food, on average, to 90 million people per year. Ms Kudo has worked for the organisation in its Rome headquarters, as well as throughout the world, including postings in Nicaragua, Bhutan, Kosovo, Timor Leste, and the Congo. Before assuming her current role in 2006, she was for three years Head of the Nairobi Liaison Office for the Sudan Operation. Gary E. Swanson is currently the Mildred S. Hansen Endowed Chair and Distinguished Journalist-in-Residence at the University of Northern Colorado, USA. From 2005-2007 Swanson was a Fulbright Scholar to China and lectured at Tsinghua University and the Communication University of China. Swanson is an internationally recognized and highly acclaimed documentary producer, director, editor, consultant and educator. He has given speeches, presented workshops and lectured at conferences, festivals, and universities throughout the world. From 1978 to 1991, Swanson worked for the National Broadcasting Company (NBC), where he was an editor for “breaking news” and features for NBC Nightly News with Tom Brokaw, the Today Show, Sunrise, Sunday Today, NBC Overnight, A Closer Look, Monitor, and other prime time news magazines. Swanson covered “breaking news” in 26 states and Canada for the network including trips and campaigns of presidents Ronald Reagan, George Bush, and Bill Clinton. Swanson was the Fulbright distinguished lecturer and consultant in television news to the government of Portugal in 1989, in 1992, he covered the XXV Olympics in Barcelona, Spain for NBC News as field producer and cameraman, and in 2008, he was Commentator for China Central Television International (CCTV-9) and their live coverage of the Beijing Olympic Games. Swanson has earned more than 57 awards for broadcast excellence including three national EMMY’s, the duPont Columbia Award, two CINE “Golden Eagles,” 12 TELLY’s, the Monte Carlo International Award, the Hamburg International Media Festival’s Globe Award, the Videographer Award, The Communicator Award, the Ohio State Award, and the CINDY Award. Professor Torres-Yu holds a Centennial Professorial Chair in the University of the Philippines. She has spent 36 years teaching at the University, and has served as Chair of the Department of Filipino and Philippine Literature (1985-1988), Vice Chancellor for Student Affairs (1993-1996), and Dean of the College of Arts & Letters (2000-2003). She has also taught in Japan for four years as Visiting Professor at Osaka University of Foreign Studies. She is author, editor and translator of various books on language literature, gender, the labor movement, the national artists Amado V, Hernandez and Bienvenido Lumbera, literary criticism, peace, and children’s literature. Professor Chiang is Chair of the Department of Education at the National University of Tainan, Taiwan. A noted scholar of Education, Widely published in the field of Education, Dr Chiang is also Secretary-General of the Taiwan Association of Sociology of Education, Director of the Chinese Comparative Education Society, and the Taipei Editor-in-Chief of the renowned Journal of Comparative Education. Kensaku Yoshida is Professor in the Faculty of Foreign Studies at Sophia University, Tokyo. A Former Dean of the Faculty of Foreign Studies, he is presently the Director of the Center for the Teaching of Foreign Languages in General Education as well as the Director of the Sophia Linguistics Institute for International Communication. He has worked on a number of committees for the Japanese Ministry of Education, Culture, Sports, Science and Technology (MEXT), including the Committee for the Revision of the Course of Study, the Panel to Promote Revisions in English Language Teaching, the Super English Language High School Assessment Committee, the Task Force to Educate Japanese with English abilities, the Central Council for Education—Foreign Language Sub-committee, and the Assessment Committee for the Global 30 Project. He is also the Chairman of the Aeronautical English Proficiency Assessment Committee in the Ministry of Land and Transport. Professor Yoshida is a member of the Board of Trustees of The International Research Foundation (TIRF) for English Language Education and a former Executive Director of Asia TEFL. He has given plenary and featured talks at numerous domestic conferences, as well as international conferences, including TESOL, JALT, KOTESOL, PAC 2, KAFLE, Asia TEFL, etc. He has also written many books, textbooks, research reports, and articles in the areas of TEFL, foreign language policy, and bilingualism. Steve Cornwell is Professor of International & English Interdisciplinary Studies at Osaka Jogakuin College, in Osaka. He is a former editor of the JALT Journal, the research publication of the Japan Association for Language Teaching, and is co-chair of their 2009 annual conference. He has taught or presented on EFL/ESL in New York City, Bangladesh, China, Ecuador, Singapore, Thailand, and Japan. In addition to teacher education and helping language teachers publish academically, he is interested in online education, curriculum design, gender awareness in language education, world Englishes and their related issues, and qualitative research methodologies. Mr Masayasu Kano is the principal of Tsukuba International School, a pioneering non-profit elementary establishment located in Tsukuba Science City. Principal Kano has extensive international experience, including a position as a Japanese language instructor through the Japan Overseas Cooperation Volunteers (JOCV) in El Salvador (1972-1975). In addition to being one of the founding members of the committed that created Meikei High School in Tsukuba, Ibaraki, he served as an English teacher at the school for 29 years until he took early retirement to assume the principalship of Tsukuba International School in 2008. He has also lectured on education at Shinshu University (1998-2004). He is also the leader of Kamiyamori Cultural Foundation. Professor Basu is a Professor of Finance at California Lutheran University and the Director of its California Institute of Finance. A well-published and award-winning teacher, he has significant consulting experience with US Fortune 100 companies, advising institutional money managers and in developing proprietary finance and planning software. He serves on various Boards and committees including the CFP (chairing the Model Curriculum Revision Committee) Board of Standards and the Financial Planning Association. A member of the IAFOR International Advisory Board, he will serve as Academic Advisor and Chair for the Asian Conference on Financial Planning 2010. Professor Jackson is Pro-Vice-Master, Teaching and Learning and Professor of Lifelong Learning and Gender in The School of Continuing Education at Birkbeck, University of London. She is also the Director of the Birkbeck Institute for Lifelong Learning, and directs the School’s Education Programme. She has recently completed three books Differently academic: developing lifelong learning for women in higher education (Kluwer Academic Press, 2004); Challenges and negotiations for women in higher education (co-edited book, jointly with Professor Gayle Letherby and Dr Pam Coterill) (Springer Academic Press, 2007); and Reconceptualising lifelong learning (co-authored book, jointly with Dr Penny Burke) (RoutledgeFalmer, 2007).